A raging wildfire in Northern California that swelled in size Friday has killed two people and injured at least three firefighters, officials said. 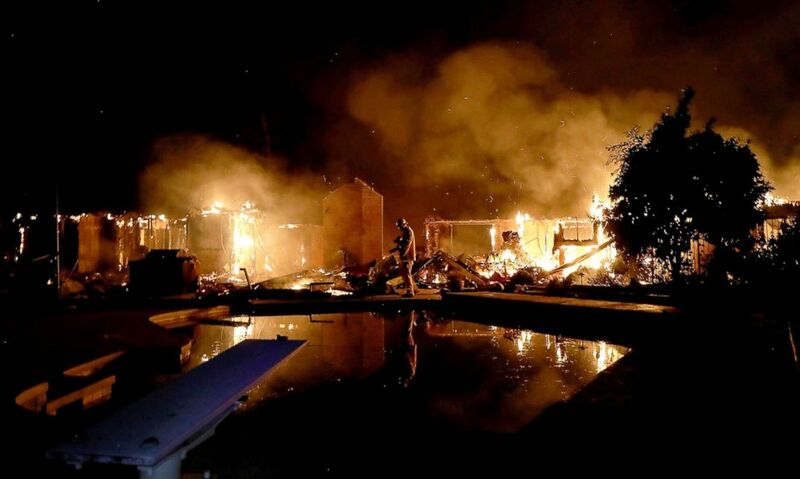 A house burns in the town of Shasta, Calif., after the Carr Fire tore through the town, July 26, 2018. The flames ripped through northwest Shasta County then spread southeast, sweeping across the Sacramento River late Thursday and roaring toward the city limits of Redding, which is home to 92,000. 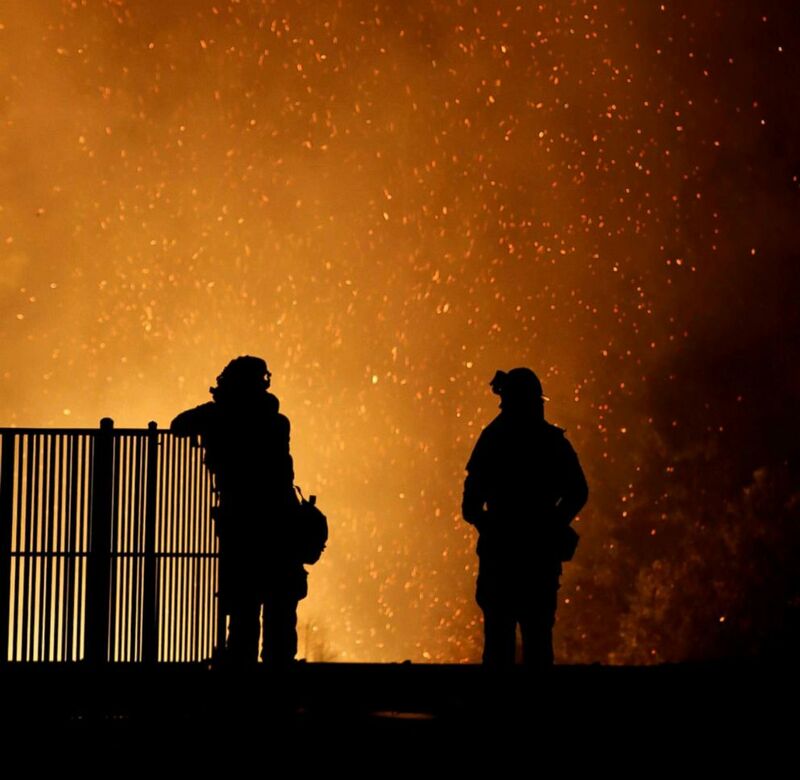 At least 500 homes, businesses and other structures have been destroyed by the fast-moving fire, while 75 others have been damaged. 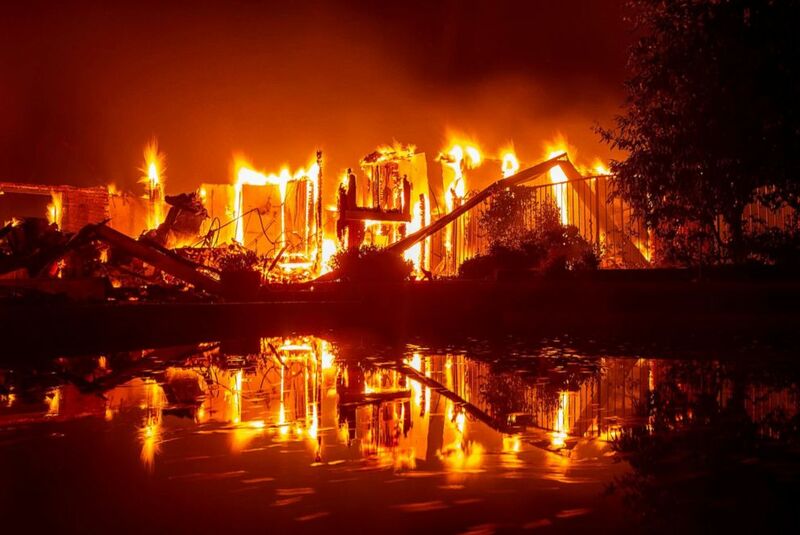 Another nearly 5,000 structures remain threatened, officials said. "A lot of our challenges right now with this fire is the weather. Our humidity is really low," Eric Colter, with the Redding Bureau of Land Management, told ABC station KGO in San Francisco. "High temperatures and we're getting a lot of evening and late afternoon winds." 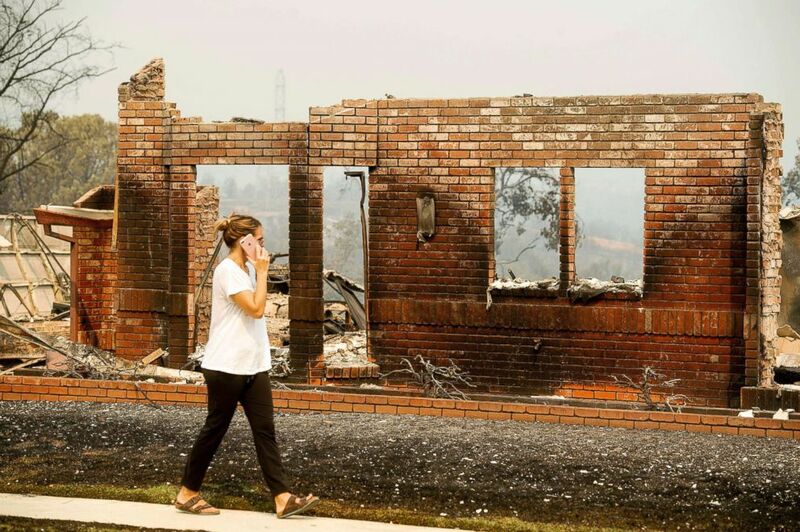 A woman surveys damage to her grandmother's house after the Carr Fire burned through Redding, Calif., July 27, 2018. 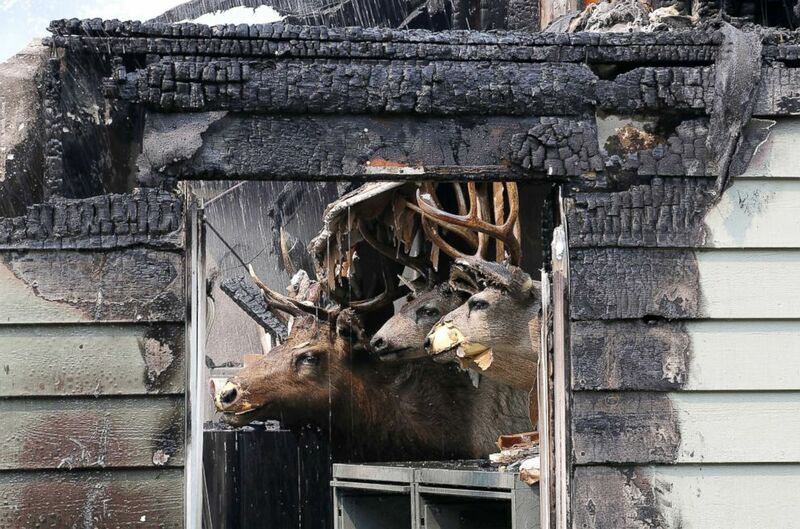 Taxidermied animal heads are displayed inside a home that was destroyed by the Carr Fire on July 27, 2018, in Redding, Calif. The blaze is "taking everything down in its path," and the situation on the scene is "very dynamic" and "a heck of a fight,” Scott McLean, a spokesman for the crews battling the Carr Fire, told The Associated Press. 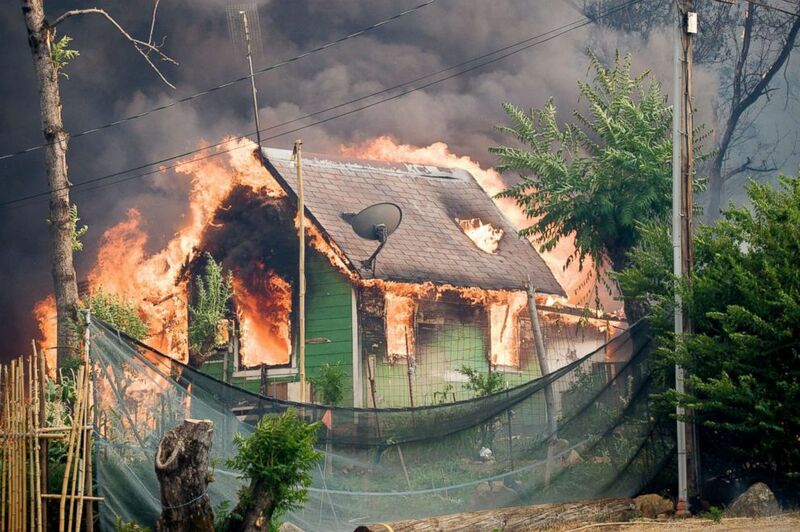 A total of 3,410 people are working to contain the fire, along with 328 engines, 17 helicopters and 62 bulldozers. Gusty winds reaching 60 mph are fanning the flames and creating fire tornadoes, or "firenadoes," that move erratically and are strong enough to overturn vehicles "like toys," McLean told reporters at a news conference late Thursday. Burning embers swirl around firefighters as they stand guard at a home while battling the Carr Fire, west of Redding, Calif., July 27, 2018. 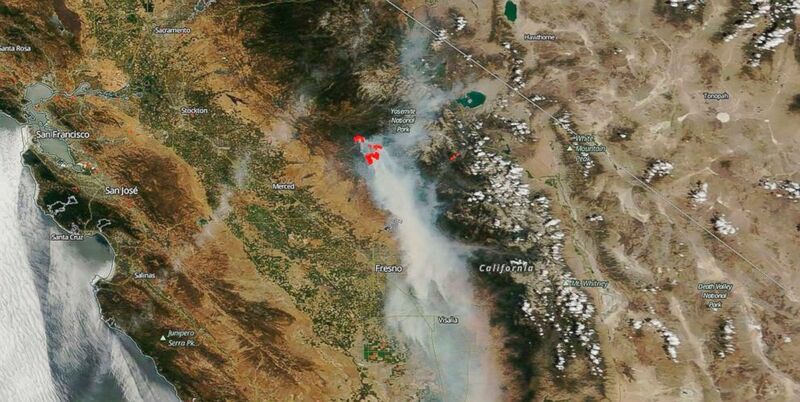 This image captured by NASA's Terra satellite on July 25, 2018, shows actively burning California wildfires (outlined in red) detected by thermal bands. Officials have ordered road closures and the evacuation of thousands of homes threatened by the Carr Fire. The California Highway Patrol is going door to door to assist, Sgt. Tim Hinkson told reporters. ABC News' Max Beller, Frank Elaridi, Courtney Han, Will Gretsky and Rex Sakamoto contributed to this report.